Leo Strauss: A “Nazi” Jew? But with the publication of the first volumes of Strauss’s Gesammelte Schriften, including his correspondence and early Zionist writings, as well as lectures from the 1940s, the question of Strauss’ relationship to National Socialism (and Italian Fascism) has resurfaced, and given the ample textual foundations, there is no mistaking it for mere cheap political polemics. Let us review the case. Four Nietzschean teachings that Strauss accepted are particularly relevant to this topic: (1) atheism, specifically the rejection of the Biblical god; (2) the rejection of Biblical “slave morality” and bourgeois mercantile values in favor of a pagan, warlike, aristocratic “master morality”; (3) the rejection of universalism, i.e., the idea of a global moral and political order, on the grounds that the moral life requires a multiplicity of “closed horizons,” i.e., different cultures and political orders that are, at least in principle if not in practice, always in conflict with one another, whereas universalism leads to the emergence of the “Last Man,” a bestialized or subhuman entity concerned only with bourgeois comfort, security, and equality; and (4) the rejection of liberal democracy, which is founded upon political universalism and Biblical and bourgeois moral principles. Although this is not the place, I would argue that Strauss never saw fit to abandon or modify these Nietzschean principles. Nietzsche’s principal difference from National Socialism concerned the Jewish Question. Nietzsche saw Jews as a European people. He hoped that Jews, like other European peoples, would set aside their petty nationalism and assimilate to become “good Europeans” who would be equal to the global political struggles of the coming century. In Beyond Good and Evil, section 251, Nietzsche claims that Jews wanted assimilation and denied that they wished to remain a separate and hostile people who sought dominion over Europeans. (If they wanted that, he claimed, it already would have happened. Indeed, it already, to a great extent, had.) Furthermore, the idea of Zionism never occurred to Nietzsche. Indeed, when Beyond Good and Evil was published in 1886, Zionism had not occurred to Theodor Herzl either. Strauss was a Zionist because he believed that Jews were a distinct people who required their own homeland. He was a political not a religious Zionist because he was a Nietzschean who rejected Biblical religion, Biblical morals, bourgeois values (Jews almost exclusively occupied the bourgeois economic niche), moral universalism, and liberal democracy. The Zionist group that Strauss joined at age 17 was the Jüdischer Wanderbund Blau-Weiss (Jewish Hiking Club Blue White—as in the colors of the Israeli flag), founded in 1907 as a Jewish equivalent of the German Wandervogel movement. Members wore uniforms of khaki shorts, blue shirts, and low cut boots. Blau-Weiss advocated a secular, power-political form of Zionism. In 1922, Blau-Weiss was reorganized under the leadership of Walter Moses. Instead of looking to the Bible or modern liberalism for political models, Moses looked back to the Greek and Roman pagans and across the Alps to Mussolini’s Fascism, hence Strauss’s characterization of Moses’ tendency as “pagan-fascist” in his very first Zionist essay. The group developed in an increasingly paramilitary and hierarchical direction, with levels of membership, oaths of lifetime fealty to the group’s Führer, and the rejection of private life in favor of total political committment. Blau-Weiss actually managed to create a German-speaking settlement in Palestine, but when the settlement collapsed in 1926, the group dissolved. Granted, in the essay in question, Strauss does not exactly endorse Moses’s “pagan-fascist” orientation. But it nonetheless maps out Strauss’s later intellectual journey: the critic of liberal democracy (here represented by Hobbes’s Leviathan state) who looked both to the Ancients (the pagans) and to the “fascists” (Heidegger, Schmitt, Nietzsche, the Conservative Revolution) for critical ammunition and alternative political models. In particular, Nietzsche—who loved pithy sayings—can be pithily summed up as offering a “pagan-fascist” synthesis, insofar as he was a critic of liberal modernity who looked to pagan antiquity for an alternative to Biblical religion and morality. And in 1923, Strauss was first and foremost a Nietzschean. Strauss was not a cultural Zionist, because he defined nationality in terms of blood, rather than in terms of culture and law. Legally, Strauss was a German citizen. Culturally, he was a German Jew, a self-consciously German Jew who throughout his life apparently disdained East European Jews , even among his own students. But in 1943, when Strauss was a US citizen, he claimed that he was not German and never had been. Meaning that he was by blood a Jew and not a German, regardless of culture and law. (By the same token, Strauss was legally a US citizen, but on his own premises, he was not and never had been an American, since he was and always remained a Jew.) Strauss’s blood-based distinction between Jews and Germans was, of course, shared by the National Socialists. Both Strauss’ Zionism and National Socialism are species of biological nationalism. The main point on which Strauss departed from Nietzsche drew him closer to National Socialism. Strauss claimed that he took little interest in Heidegger for “about two decades” after Heidegger joined the NSDAP (National Socialist German Workers’ Party) on May 1, 1933. Strauss says next to nothing about his engagement with Heidegger from 1922 to 1933, but a number of Strauss’ posthumously published lectures contain masterful syntheses of Heidegger’s thought that can only result from careful reading and lengthy reflection. Even though Strauss seldom mentions Heidegger in his published works, he was a constant hidden presence. As a rule, when Strauss talks about philosophical or radical historicism, he is talking about Heidegger. And Strauss talks about historicism frequently. Strauss claims that, “There is a straight line which leads from Heidegger’s [concept of] resoluteness to his siding with the so-called Nazis in 1933.” But this does not mean that Strauss could not have shared Heidegger’s concept of resoluteness. Resoluteness is relative to particularity: to one’s historical situation and historical tradition—to Nietzsche’s plurality of closed cultural horizons. Resoluteness means owning up to one’s indebtedness to one’s particular heritage and horizon and taking responsibility for carrying it forward. Thus resoluteness could lead the German Heidegger straight to German National Socialism, whereas it could lead the Jew Strauss to its Zionist equivalent. Heidegger and Strauss differed in their views of the particular identities to which their resoluteness was relative. Heidegger rejected the Nazis’ biological definition of nationhood, preferring a cultural-historical one. Strauss rejected a cultural-historical definition of nationhood for a biological one. Thus Strauss’s departure from Heidegger actually brings him closer to the National Socialist position. Despite the fact that he was a Jew, on this point, Strauss was closer to orthodox National Socialism than Heidegger. Strauss also had an intellectual relationship with another prominent German philosopher who joined the NSDAP on May 1, 1933: the jurist and political philosopher Carl Schmitt. In 1927, Schmitt published his most celebrated work, “The Concept of the Political,” as a long essay in the Archiv für Sozialwissenschaft und Sozialpolitik. An expanded second edition appeared as a small book in 1932. For Schmitt, the political is founded on the distinction between friend and enemy , specifically, collective friendship and enmity, us and them. The political arises out of the existence of different peoples whose values and interests differ and thus can come into conflict, specifically existentially serious, life or death conflict. Liberalism is anti-political because it aims at the creation of a conflict-free world in which existentially serious diversity disappears. Near the end of 1932, Strauss published his “Notes on Carl Schmitt, The Concept of the Political,” in the Archiv für Sozialwissenschaft und Sozialpolitik. In this review, Strauss affirms the substance of Schmitt’s concept of the political and critique of liberalism, but he disagrees with their foundations. Although Strauss does not make this explicit, Schmitt’s views can be rather straightforwardly deduced from Nietzsche’s idea that the moral life depends upon the existence of a plurality of closed cultural horizons and his pagan-aristocratic critique of Biblical and bourgeois slave morality. Schmitt, however, appealed to Hobbes as a foil for liberal democracy. Thus, Strauss argued, Schmitt’s critique of liberal democracy was insufficiently radical, for Hobbes is actually the true founder of liberalism. Although the Leviathan seems anything but liberal, the premises from which Hobbes seeks to deduce it are the basic principles of liberalism. Thus, to mount a truly radical critique of liberal democracy, we have to think our way beyond Hobbes and the whole modern philosophical context. And Strauss gives no indication that this means moving back toward the Ancient pagans. Instead, if anything, it means moving in a “pagan-fascist” direction, i.e., toward Nietzsche. Schmitt was deeply impressed by Strauss’s critique. According to Heinrich Meier, Schmitt admitted that Strauss had seen through him like nobody else. Strauss helped Schmitt purge his thought of residual liberal premises, which surely eased his way to joining the NSDAP the following spring. Schmitt also eased Strauss’s way out of Germany, supporting his successful application for a Rockefeller Foundation fellowship that allowed him to leave Germany in the summer of 1932 for France and then England, where he wrote his classic study The Political Philosophy of Thomas Hobbes: Its Basis and Genesis, published by the Clarendon Press at Oxford in 1936. Given these connections, it is easy to see why Hannah Arendt, and later the Jewish exile community in France, regarded Strauss as a Nazi, for he shared many of the Nazis’ fundamental principles and influences. Strauss admits as much in his 1933 letter to Karl Löwith (epigraph two, above), where he states that “. . . the fact that the new Right-wing Germany does not tolerate us [Jews] says nothing against the principles of the Right.” Evidently, Strauss shares the same basic Right-wing principles as the National Socialists. Strauss then goes on the describe the principles he lauds as “fascist, authoritarian, and imperial,” and to characterize appealing to the liberal idea of the inalienable rights of man as “laughable and despicable.” (I will deal below with Strauss’s claim that the principles of the Right provide a basis for objecting to anti-Semitism.) One does not need to squint between the lines to take this as Strauss’s confession that he was a kind of Nazi. Nevertheless, I will argue that this view is fundamentally mistaken. Strauss was not a Nazi. Rather, Strauss merely resembles a Nazi because both he and the National Socialists are species of a wider intellectual genus, namely the Conservative Revolutionary  milieu of post-World War I Germany, which included Heidegger  and Schmitt  as well as Oswald Spengler , Ernst Jünger , and Arthur Moeller Van Den Bruck , and behind them all, Nietzsche . Thus Strauss had no allegiance to “Nazi” ideas per se, but only to Conservative Revolutionary ideas that the National Socialists shared as well. Leo Strauss, Reply to Frankfurt’s “Word of Principle,” in The Early Writings (1921–1932), ed. and trans. Michael Zank (Albany: SUNY Press, 2002), p. 65; cf. Leo Strauss, Gesammelte Schriften, vol. 2, Philosophie und Gesetz—Frühe Schriften, ed. Heinrich Meier (Stuttgart/Weimar: Metzler-Verlag, 1997), p. 300. Leo Strauss, Gesammelte Schriften, vol. 3, Hobbes politische Wissenschaft und zugehörige Schriften—Briefe, ed. Heinrich Meier (Stuttgart/Weimar: Metzler, 2001), p. 625; I am adapting Susan Meld Shell’s translation from “‘To Spare the Vanquished and Crush the Arrogant’: Leo Strauss’s lecture on ‘German Nihilism’,” in The Cambridge Companion to Leo Strauss, ed. Steven B. Smith (Cambridge: Cambridge University Press, 2009), pp. 185–86. Strauss, Gesammelte Schriften, vol. 3, p. 435. Leo Strauss, “The Re-education of the Axis Countries Concerning the Jews,” The Review of Politics 69 (2007): 530–38, p. 538. This is the text of a lecture delivered on November 7, 1943, to the annual meeting of the Conference on Jewish Relations, the New School for Social Research, New York City. Elisabeth Young-Bruehl, Hannah Arendt: For Love of the World (New Haven: Yale University Press, 1982), p. 98. See, in particular, Leo Strauss, “German Nihilism,” , Interpretation 26 (1999): 352–78; “The Living Issues of German Postwar Philosophy” , in Heinrich Meier, Leo Strauss and the Theologico-Political Problem, trans. Marcus Brainerd (Cambridge: Cambridge University Press, 2006); “What Can we Learn from Political Theory?,” , Review of Politics 69 (2007): 515–29; and “The Re-education of the Axis Countries Concerning the Jews,” . Leo Strauss and Jacob Klein, “A Giving of Accounts,” in Jewish Philosophy and the Crisis of Modernity: Essays and Lectures in Modern Jewish Thought, ed. Kenneth Hart Green (Albany: SUNY Press, 1997), p. 60. Correspondence of Karl Löwith and Leo Strauss, trans. George Elliot Tucker, Independent Journal of Philosophy 5/6 (1988): 177–92, p. 183. Strauss, “A Giving of Accounts,” p. 460. Strauss, “The Re-education of the Axis Countries Concerning the Jews,” p. 538. On Husserl, see “Philosophy as Rigorous Science and Political Philosophy,” , in Leo Strauss: Studies in Platonic Political Philosophy, ed. Thomas L. Pangle (Chicago: University of Chicago Press, 1983). See also “A Giving of Accounts,” pp. 460–61. Martin Heidegger, Phänomenologische Interpretationen ausgewählter Abhandlungen des Aristoteles zur Ontologie und Logik, Gesamtausgabe, vol. 62, Günther Neumann (Frankfurt am Main: Vittorio Klostermann, 2005). Strauss, “A Giving of Accounts,” p. 461. Leo Strauss, “Existentialism,” ed. David Bolotin, Christopher Bruell, and Thomas L. Pangle, Interpretation 22 (1995): 301–20, a lecture delivered in February of 1955 at the Hillel Foundation (a Jewish campus organization) at the University of Chicago, and “The Problem of Socrates, ed. David Bolotin, Christopher Bruell, and Thomas L. Pangle, Interpretation 22 (1995): 321–38, a lecture delivered April 17, 1970 at St. John’s College, Annapolis. See also “The Living Issues of German Postwar Philosophy,” 1940 and “Philosophy as Rigorous Science and Political Philosophy,” 1971. Carl Schmitt, “Der Begriff des Politischen,” Archiv für Sozialwissenschaft und Sozialpolitik, vol. 58, no. 1 (September 1927): 1–33. Carl Schmitt, The Concept of the Political, trans. George Schwab (Chicago: The University of Chicago Press, 1996). 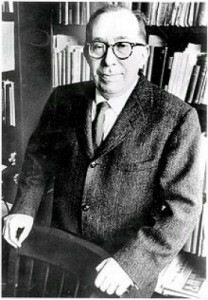 Leo Strauss, “Anmerkungen zu Carl Schmitt, Der Begriff des Politischen,” Archiv für Sozialwissenschaft und Sozialpolitik, vol. 67, no. 6 (August–September 1932): 732–49. Translations of Strauss’s “Notes” appear in the University of Chicago’s edition of The Concept of the Political and Heinrich Meier, Carl Schmitt and Leo Strauss: The Hidden Dialogue, trans. J. Harvey Lomax (Chicago: University of Chicago Press, 1995), p. xvii. Meier, Carl Schmitt and Leo Strauss, p. xvii. Leo Strauss, The Political Philosophy of Thomas Hobbes: Its Basis and Genesis, trans. Elsa Sinclair (Oxford: The Clarendon Press, 1936).